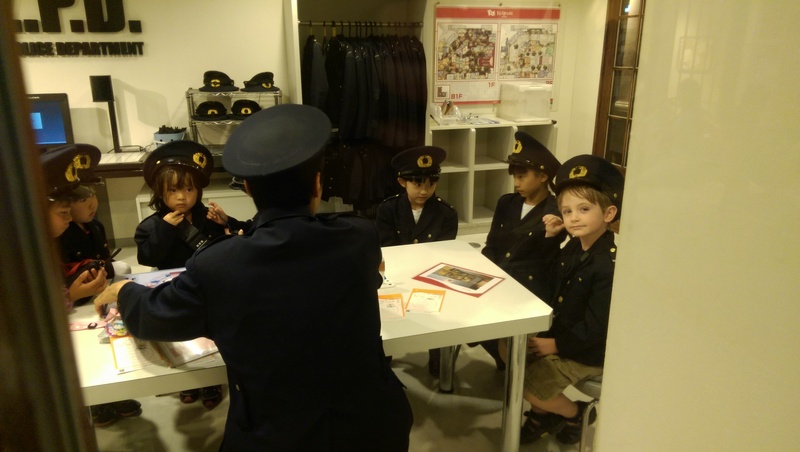 Wednesday is English day at Kidzania, so I read on their website. 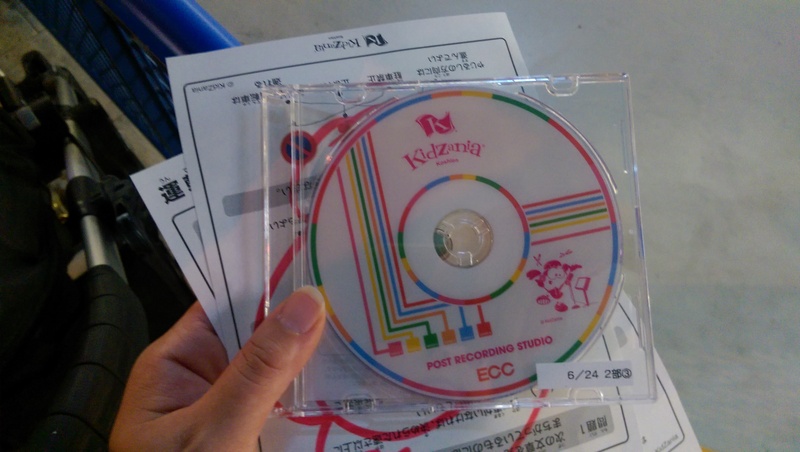 What is Kidzania you ask? Well, it just might replace Disneyland as the happiest place on earth, and you’ll have to read ahead to find out more, ha ha! I will warn you however that this is long since I’m trying out a more diary style of writing for this trip. Then I’ll come back later and give everyone some shorter articles on what we’ve learned on this trip and a few short hints and trip ideas. 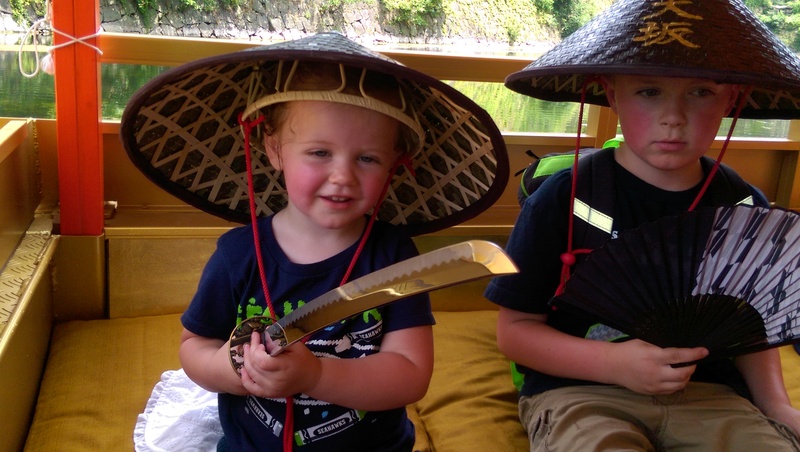 But for now, on to what we did on our 3rd full day in Japan. I first heard about it from a blog I came across called Tokyo Stroller. 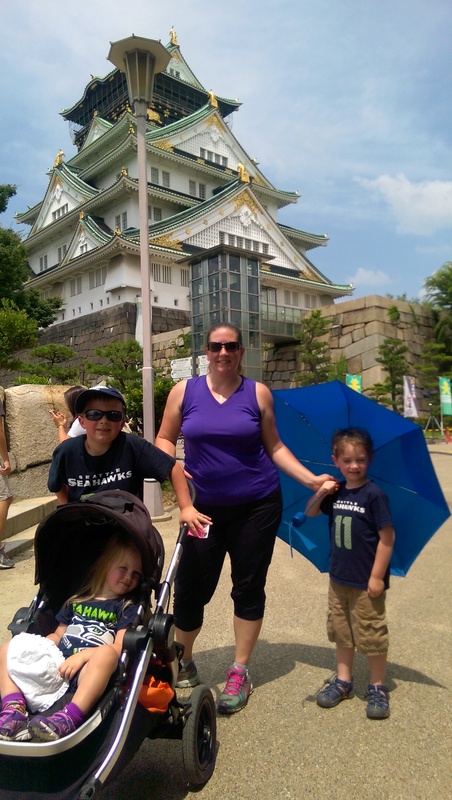 This mom started Tokyo Stroller to help provide some English content to navigating Tokyo with kids. It was one of her suggestions for something to do on a rainy day. I first thought of doing this in Tokyo after I watched their AMAZING promo video. But when our final plans gave us just 5 days total in Tokyo and a day and a half were already slated for Disney, it just didn’t seem right to take up another full day for that. I saw they had multiple locations around the world and in checking that out, I discovered they had one right next to Osaka in Kochien (think Seattle’s Bellevue). It was perfect. 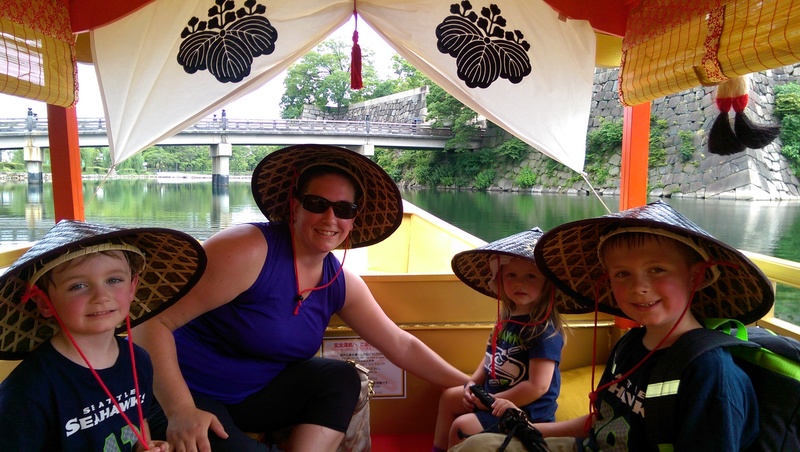 Since it wasn’t too far from Kyoto, I made a plan do take the kids there on Wednesday of this week. The day they had been talking about for the past 3 months finally came. However, we first had to get out of the hotel and over 3 cities. 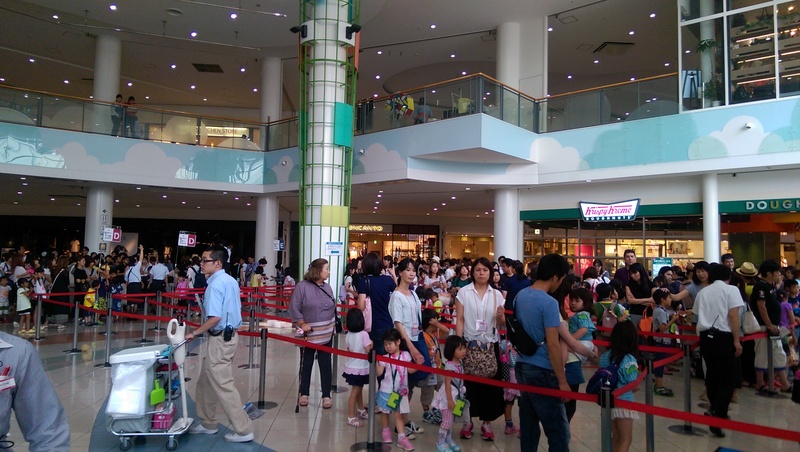 There are two entry “shifts” for Kidzania, 9:00 a.m. to 2:00 p.m. and 4:00 p.m. to 9:00 p.m. I ultimately went with the 2nd shift even though I wasn’t too excited about being that far away from the city we were staying and that late and night. I still felt the risk of the kids being super tired was not going to be as bad as us not getting to the place we’ve never been to by 8:00 a.m. and the kids missing out. Oh the wrath I would have faced if they didn’t get to go!!! So I figured we would at least get up and moving out the door as soon as we could because then we could go see something in Osaka before our start time. When everyone was awake by 5:30 a.m. I started to think, maybe we could get out the door and try to make it to the 1st shift and maybe they would change our tickets. Then I thought, other than taking the free airport shuttle to the train station, I don’t really know another way to get there and that could take up an unknown amount of time that would be hard to factor into an arrival destination. So I figured it would be easier to wait for the hotel shuttle that started at 8:15 a.m.
Chomping at the bit, ready to get on the train and go! Knowing we had 2 hours to kill before breakfast switched my brain into lazy mode. You would think I would have learned by now, especially since I tell myself each time I get behind (because of lazy mode) that I need to get everything completely ready to go first before we just relax and wait for the time to leave. But no, I get partially ready, or get the kids ready and not myself and start writing or looking through pictures and before I know it, it’s 15 minutes from the 1st shuttle and I haven’t showered or taken the kids to breakfast. Ugh. But hey, it’s a vacation right!? While I clearly want to actually see stuff in Japan, I don’t have a very set agenda. There are thousands of landmarks that are supposed to be beautiful and culturally significant, but you will make yourself go crazy on any trip ESPECIALLY with kids, if you try to see and do too much. So for Osaka, I had identified a few cool things I thought we’d try to pick from. I didn’t care about seeing them all, as I knew similar things existed in other cities. 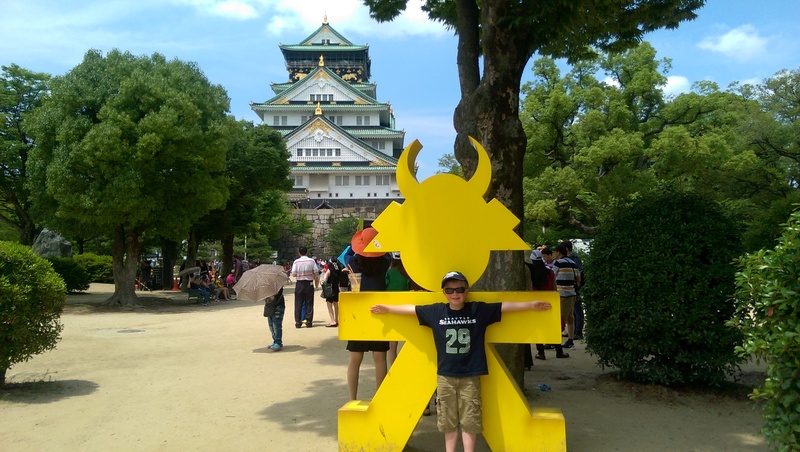 My list was, Osaka Castle, the aquarium, walk around Shinsekai or find some arcades. After our late start, we didn’t get to Osaka till 11:00 o’clock, even though the bullet train got us there from Kyoto in 15 minutes. I decided on the train that we’d try to see the aquarium. So we got off at Shin-Osaka, wandered around aimlessly looking for some information stand. At the stand the very nice man, who spoke some of the best English I had encountered so far (it’s been a struggle even at major tourist spots) and he showed me the route to the aquarium. Unfortunately, it involved taking two different subway trains to get there. And then when I asked how we would have to go back to get to Kidzania, it was way out of the way. But, I figured we still had 4 hours so we’d give it a try. They try to give foreigners some direction in bigger cities. Subway, Osaka, Japan. Once we got to the first transfer, things were confusing. I began to get nervous about finding my way, and doing it with enough time to make the aquarium worth the trip and get to Kidzania on time. We ran into a mother and son British couple who were trying to find the same line we were going to, only in the opposite direction as they were going to the castle. We helped each other find the way and then started to part. 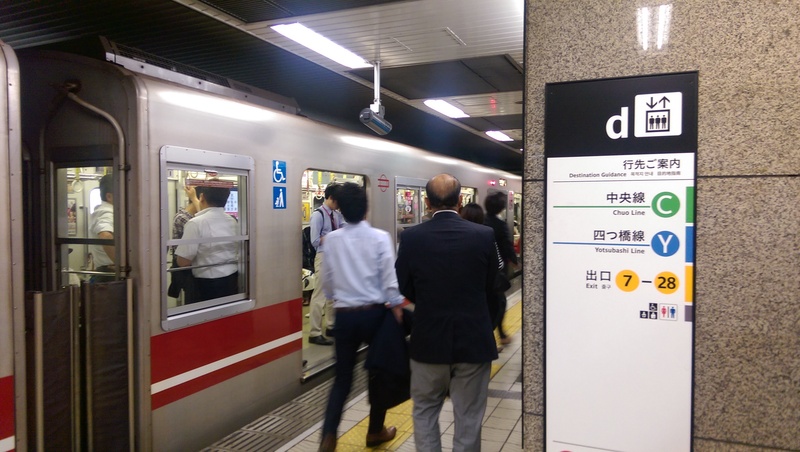 After they disappeared to their platform, I looked on the map and realized their stop was just 2 away and then 2 more back to the train station we needed for Kidzania whereas the aquarium was going to be another 6 stops away, and equally back with 2 transfers. I made a split decision to change our plans and go to Osaka Castle. It did look pretty in the pictures and was said to be one of the most important in Japan. I told the kids that mommy would really like to see the castle and do something grown up since we’d then spend the rest of the afternoon at Kidzania. They nicely agreed and off we went. We arrived at our station for Osaka Castle. I had forgot to grab the one map I had of Osaka that I got from back home in Seattle and never found any take away maps in the train stations in Osaka, other than the subway and train map. So we saw one map fixed to the wall and I took a picture. Even with that, once above ground I was completely disorientated. I looked around in all directions but couldn’t find anything that I recognized on the map. Worse, there were very few people around us, which made me think that because we had to travel to the only elevator up, we went to a completely different part of the station from where I saw the map. A man started walking by, he was an elderly man, but I figured, “what the heck” I had to ask someone and my pickings were slim. Not surprisingly, there was little English but I showed him a picture of where I wanted to go and he pointed in a direction and motioned for me to follow him. So we did and got to a street corner that was a busy intersection. He motioned in the direction of the castle and I thanked him and nodded. I figured we were done at that point. I had to stop to fix something for the kids and then looked at a park we passed to see if there was a playground in it and he kept going. We got back on track and soon were back up to where he was again. He looked and pointed ahead again and I nodded and said thank you again. But I still wasn’t sure if he was taking us there or just walking, because when I stopped him, he was going in a different direction from the Castle. We got into the Castle ground park and my 5 year old really needed to go to the bathroom. Once inside the first set of stone walls, the man turned to me and said “I take you.” I said ok, but that my son needed to go to the bathroom. He nodded. At his pace, he knew we’d catch up in no time. Well, sure enough, he walked us all the way to the entrance for the main part of the Castle. A friend of mine told me that people would go out of your way to help in Japan, and she was right! However, once we got to the castle courtyard entrance, we were dripping in sweat, it was at least 85 degrees and the sun was out that day. There was an ice cream stand across from the entrance and I knew we needed to stop or I’d have mutiny on my hands. So we grabbed some cones and sat down on a bench in the shade. Much needed for everyone. We made it into the main castle courtyard and finally saw the building up close. It was beautiful. 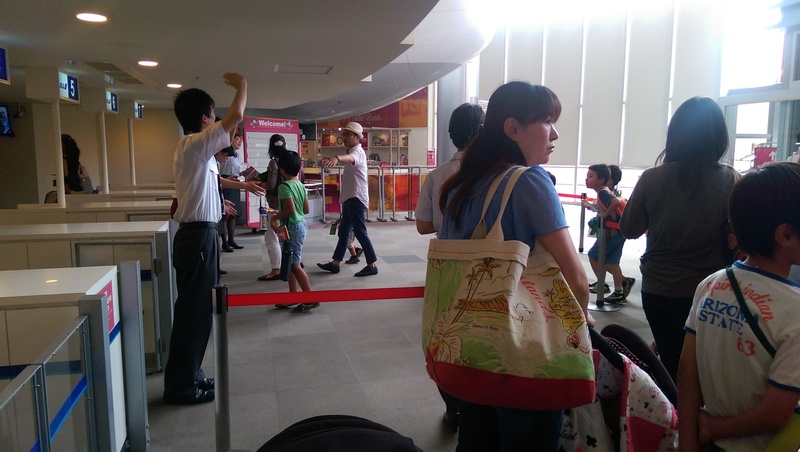 But it was also hot, and we had just 2 and a half hours before we needed to be at the Kidzania station. As much as I wanted to go into the castle, I knew the boys were anxious. I also didn’t want to deal with the stroller and going into the castle. Now I did see and elevator that went up to the base of the castle, but I wasn’t sure where else there would be an elevator and we had a lot of stuff that I didn’t want to carry or leave in the stroller. I also wasn’t sure how long a proper tour was either. And in the end, I knew I’d go into Himeji for sure and our 2nd week long stay in Nagoya was also right next to a castle. So we moved on to the perimeter gardens again to make our way back to the train station. Did I mention it was hot? Let me say it again, it was HOT! And humid. Photography swap with some Japanese girls to get a picture with all 4 of us! By time we got down to the base of the moat around the castle, we were all tired. That is when I saw this cute, old style Japanese boat. I pointed it out to the boys and asked if we should check it out and see how much it cost and how long its little trip was. Since we still had 2 hours. 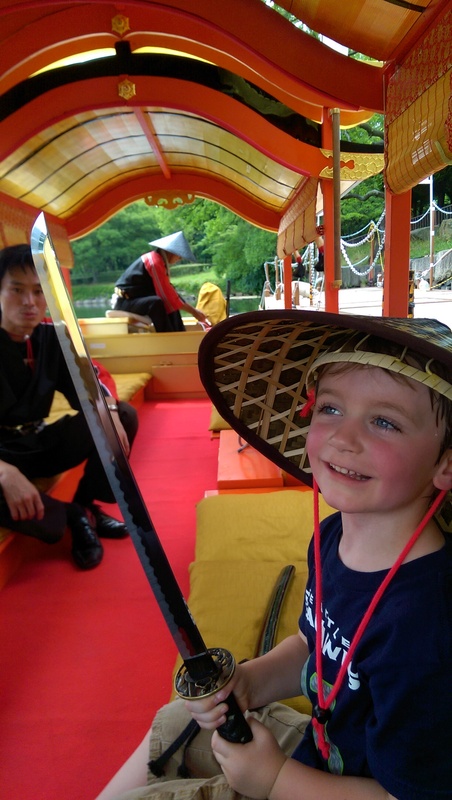 Turns out it was a 20 minute tour back and forth the moat to see a view of two sides of the castle and it was just going to cost $27 for all 4 of us, because in Japan, basically everything is free for kids under the age of six! So we decided to take another break, and have a neat little experience to make up for not tour the castle. We had the whole boat to ourselves other than the driver and the “guide” who pointed out a few things about the castle base’s rocks. They also immediately gave us the cone/pyramid hats to where, which the kids LOVED. Right after they handed out the hats he handed my 5 year old a samurai sword and another kids a fan. He opened it up and it was a real blade! Well, with the exception that the “sharp” side was in fact blunted, but there was a pretty sharp point at the end! They passed it around for a while then the guide set it off to the side and let them keep playing with the fan. We relaxed, took pictures and saw the castle from a very different angle. It was a real treat. Back at the dock, we loaded up the stroller again. The boys were dragging in the heat and I was afraid of them getting worn out before Kidzanie, that would last till 9:00 p.m. and they had yet to still be awake at 9:00 p.m. during this trip. So, as cheap as I am on some travel things and as much as I hate to shell out money for a cab, I did. It cost me around $16, but whatever, we were at the train station. I got the ticket I needed, there is usually a live person in a booth at the ticket pass through where the ticket purchase machines are also usually located. So asking for help was relatively easy. Turns out from the station we were at (Umeda), relatively in the middle of Osaka, it was only a 15 minute train ride, if that, to Kochien. I took pictures of the maps from Kidzania’s website to help guide me. Ok, I know what you’re thinking, I promised to tell you what the heck Kidzania is in the first place. Well if you haven’t opened another browser already and gone to the link to check it out, let me explain now. 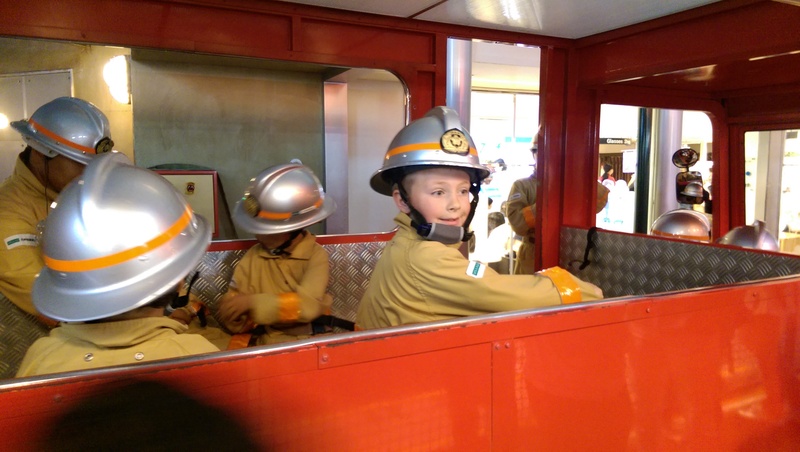 Kidzania is a kids size world with 60-90 different professions set up as activities for kids. 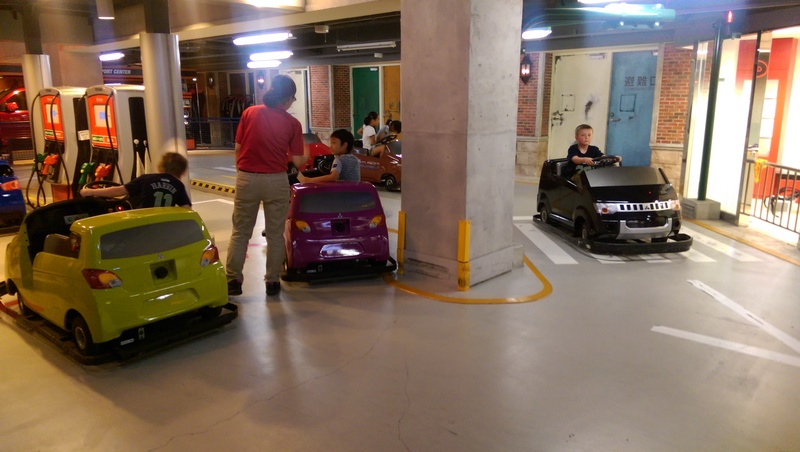 Adults cannot participate or help with the activity but can stand near it and watch, as well as walk around the “city” with the kids helping them navigate the job locations and keep track of time. They offer two, 5 hour long, “shifts” per day. The first shift from 9:00 a.m. to 3:00 p.m. and the 2nd, the one we were doing, from 4:00 p.m. to 9:00 p.m. Each job activity lasts anywhere from 15 to 30 minutes each, with most being 30 minutes. There is everything from being a fire fighter to a beauty shop worker to a dentist and a Coca-Cola bottling factory worker! A child will earn Kidzos (play money that can be spent on activities or merchandise in Kidzania) for each job they do. If you’ve never heard of them before, check out their promotional video. Very cool stuff. So, needless to say, this is VERY popular and no, they do not have this in the United States, yet. Arriving at the entrance to the Lalaporta mall where Kidzania Kochien is located. As we arrived at the train station in the town of Kochien, we were a bit unsure of how easy it would be to find but it proved to be easy. I didn’t expect that it would be in a shopping mall however. 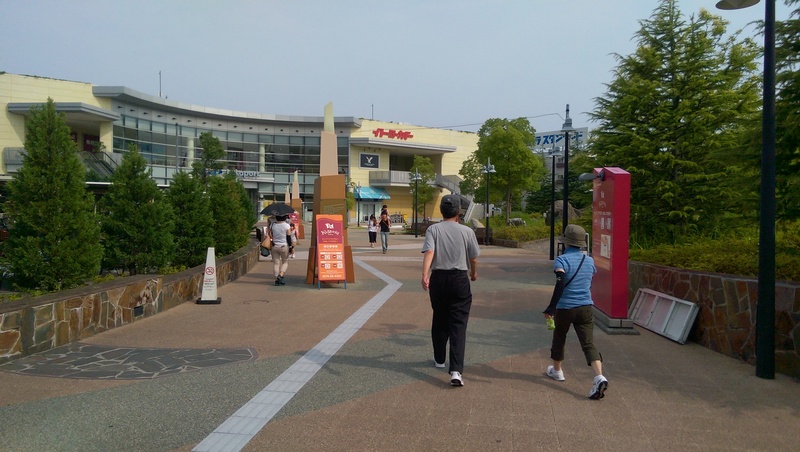 We came upon the shopping mall entrance with big Kidzania signs, it was right across the street from the Kochien professional baseball team’s stadium. 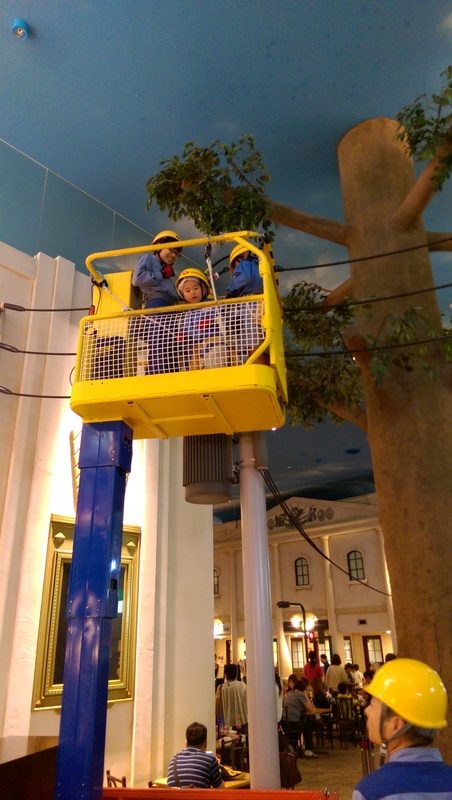 Once in the mall however, we found that we had to go clear to the back to reach Kidzania. As we walked through the mall, following the signs, it was 3:20 p.m. We could get in line at 3:00 p.m. but what I didn’t totally realize is that people would get there hours early to get their tickets so they could have priority of entrance at 3:00 p.m. They group you with a letter and “A” is the first group that enters around 3:00 p.m. then “B” and so on. So we were already down to “E” by time we showed up at 3:20 p.m. and boy was there a crowd!!! I started to panic, I had hoped that on a Wednesday, with it supposedly in all English activities, that maybe the crowds would be less. I was wrong. There were hundreds of families lined up and the first two groups had already gone inside. Because of my stroller, we were ushered to the front through the first doors and directed to the elevator that would take us to the top floor where everyone else had been climbing the stairs. I thought for a moment, “How lucky! We’re going to get to skip the line and go right in!” But boy was I wrong! We were in a holding area with 2 other families with a stroller. Since we all had our group letter on our passes that we had to keep around our neck, we didn’t get in from the stroller holding area until our letter group arrived from the down stairs. But still, it was better than waiting and moving through the mad house line. The crowd to get into Kidzania. Portal entrance to the actual “city” via their kid size airport. Once we were allowed in, there were staff lined all over the paths with huge smiles, waving, and shouting friendly greetings. It was literally one big party. The theme song music was playing over the loud speaker and you started to feel like you were the most special family in the whole world! The first thing you were supposed to do was go sign up for the activity you wanted to do the most. Everyone who showed up before 4:00 p.m. was let in before that time so that you had a time to be at a spot when the first shift started right at 4 o’clock. Along with their job card that they are given at the beginning, each kid gets a “Kidzos” 50 dollar traveler’s check, which is a starting out currency. Crowds immediately flocked to the most popular job stations. The pizza and sushi shops had huge lines. The first few kids to get to each station go to go first, the rest were given different times to come back to do the activity. But here’s the catch, you can only have one reservation for a comeback open on your card at a time. So for example, if you were in the huge Pizza shop line and you were kid #20 in line, you might get a come back time if 5:30 p.m. That means, that all of the other activities before then have to be ones with no wait. I was even more scared and started to sweat. 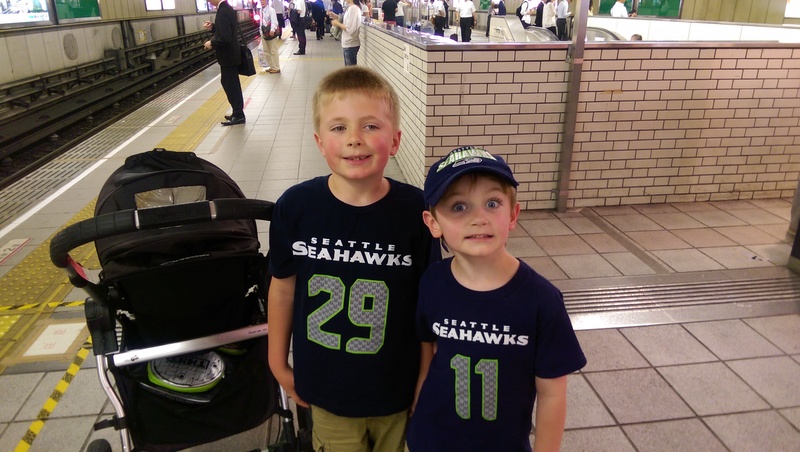 The boys were off the wall excited and I was trying to keep them from running in opposite directions while push a stroller through crowds and figure out where each activity was between two floors. There was an elevator but just one small one. I was completely overwhelmed but at the same time, it complete awe at the awesomeness of this place. I got my 5 year old right in at the Police department which then gave me some time to take my 7 year old to his first choice of the Fire Department that was on the 2nd floor. Already the Fire Department had filled the first start time so he was given 4:30 as the next one. That meant I had to find something else for him to do in the meantime that was just 15 or 20 minutes and open right then. I saw a Publishing shop and a News Paper office. I asked a staff member what to do since I could barely keep my brain in order on the process amidst all the chaos. I also began to realize that the 3 “white” people I saw as we first came in were probably the only ones that speak decent English and were there to wander around as translators. Nonetheless, I got my 7 year old into the Newspaper thing, which was lame, and he was done by 4:15 and ready to wait for Fire Fighting. 1.Newspaper deliverer (which I barely count) 2. Fire Fighter-Rides in a moving mini fire truck to a fake burning house and sprays real water on it. 3. Voice Actor-Says and records lines for a character in a cartoon and then you get the DVD of the final cut! 4. DMV Driving School-Watched a video of how the cars worked and rules, took test, got a driver’s license. 5. Car Rental-Rented a car, drove it around, and then had it served at a gas station. 6. Airplane pilot-Got to learn about piloting a plane with a computer simulator in a recreated cockpit. 7. Coca-Cola Bottling Plant-Put wrapper on bottle, cleaned bottle, filled with syrup and carbonated water, capped, chilled and tested a 20 ounce bottle of Coke that was really sealed and they got to keep! 8. Electrical worker-learned about power outages, played with a computer board that showed where they were and then went to the downed power line, ride in a lift up to the fake power line and “fixed” the broken wires. Fixing a “downed” electrical wire. 1.Police Department-Did some detective work to solve a case and I think they also put someone in jail. 2.Airplane Pilot- Got to learn about piloting a plane with a computer simulator in a recreated cockpit. 3.DMV Driving School-Watched a video of how the cars worked and rules, took test, got a driver’s license. 4.Car Rental-Rented a car, drove it around, and then had it served at a gas station. 5.Fire Fighter- Rides in a moving mini fire truck to a fake burning house and sprays real water on it. 6.Bank-Opened a bank account and practiced depositing money and then using an ATM to withdrawal. 7.Embassy-As a patron, applied for a passport, looking into a country to travel to, got a stamp for that country. For all of the jobs they completed, not only did they get their pay for their work, but they also got a “certification” card for that “profession.” They get to keep the different things they make as well. Like the bottle of Coca-Cola and the DVD of the cartoon with my son’s voice as one of the characters. So of course the ice cream shop, pizza shop and bakery were insanely popular and we missed out because we didn’t realize that people would sign all the way up and spots could fill all the shifts through closing within the first hour! That was a bit of a bummer. So other than the food related professions, we never had to come back more than 30 minutes later to participate. 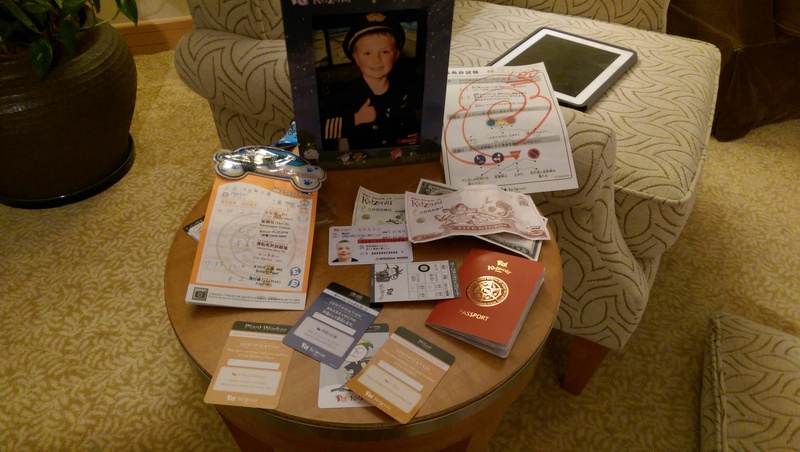 Are sample of all the different stuff just one of my son’s took home from their experience. Now, you might be wondering what my 2 year old did while I was running around helping her big brothers. Well, she just tagged along. They promised a small play area and café/lounging spaces for parents and toddlers to hang out at. Or they could participate as the audience for some of the activities such as the theater and TV show production. I was worried that she would be so upset that she wasn’t getting to do what the boys were doing (you have to be at least 3 years old to participate), but there was so much for her to see and look at that she just went right along with it until the last hour. By the last hour and a half, she was getting tired and bored and so I broke out the iPad and pushed her around in the stroller. Within 30 minutes of that she was asleep. And so, after the clock struck 9, our magical day had come to an end. You might think I lost an arm and a leg on the whole thing. To be honest, it was one of our more expensive single activities, but in the end, I spent $143, and that was because I couldn’t resist buying 4 of the professional pictures at the end that were roughly $12 a pop! The experience in my mind was well worth it! I will be doing a more detail write up of just the Kidzmania experience and other tips in a different post. But for now, I will leave you with the horrible story of us having to get back to Kyoto that took an hour and a half and 3 sleep walking kids that I had to spend another $20 on a taxi to get the last leg of the journey done from Kyoto Station to our hotel at midnight. But as I looked at their sweet sleeping bodies piled up in that cab, I couldn’t help but have a feeling of joy and satisfaction at our amazing day, and that I got through it with the 3 of them all on my own. ← Maximizing Your Hotel Amenities-Day 2 in Japan-Kyoto! Kidzania sounds amazing. If I have kids, I will be taking them there! Sounds like a great experience!!! I didn’t really have a urgency to see Japan but now I want to! Glad to hear that the people are helpful in Japan too!! It’s definitely worth the trip! Thanks for reading! Getting Ready for Summer With Little Passports! Road Trip Lucky Finds-Dinosaur Footprints!! !